Nearly 30 years ago, Nike changed the sneaker game forever with the introduction of the Air Max 1, a shoe that made Nike Air a household name. 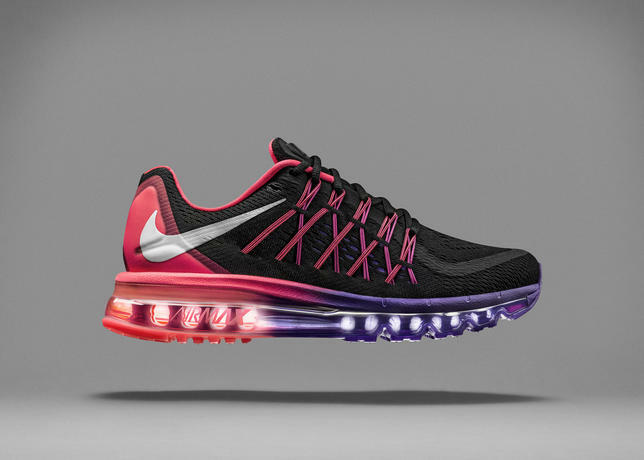 The Air Max has continued to reinvent itself, pushing the design envelope year after year. 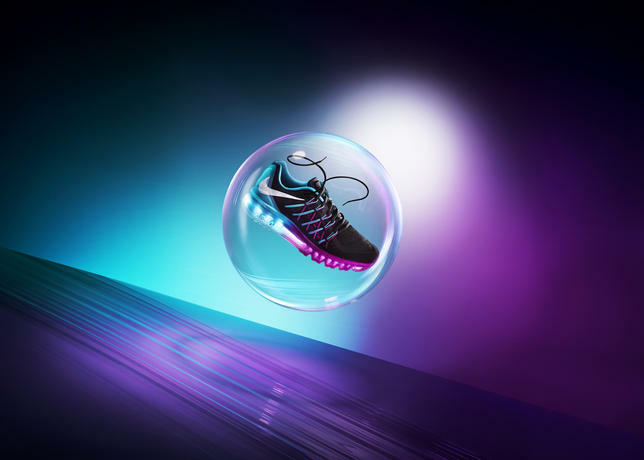 This holiday season, Nike debuts the Air Max 2015 with an all-new upper engineered to complement the foot’s dynamic motion, paired with the full-length, iconic Max Air cushioning technology. 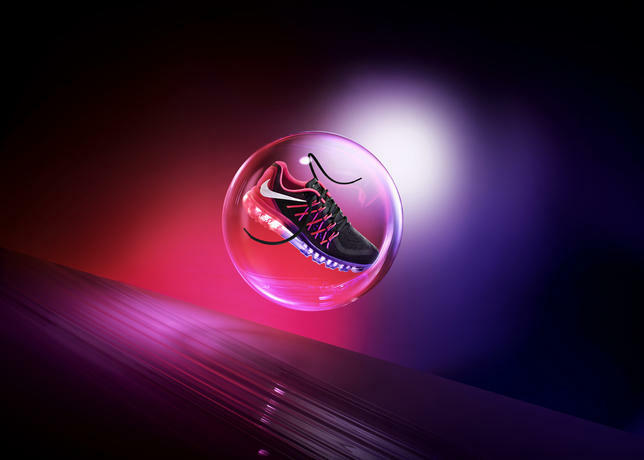 The design team focused on delivering the soft, bouncy cushioning runners love in the Air Max and creating the best performing shoe upper in an Air Max to date. 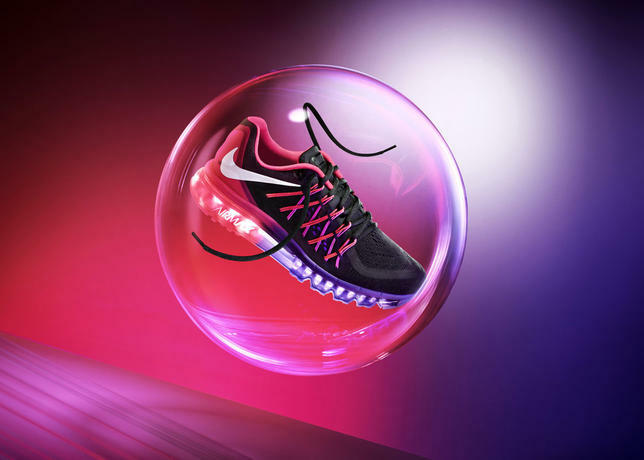 The new Air Max 2015 delivers exceptional full-length cushioning, features an engineered mesh upper designed for the foot in motion, and is lighter than its predecessor at 10.8 ounces for a women’s size 8 and 12.9 ounces for a men’s size 10. The shoe’s upper is designed to give runners better flexibility, fit and comfort. 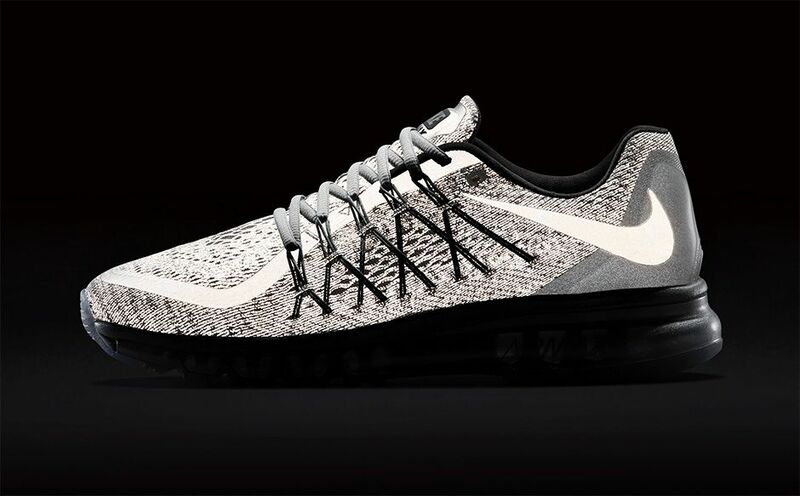 The 2015 edition is the first Air Max to include an entirely engineered mesh upper. The near-seamless upper offers support and flexibility in a lightweight and breathable package. Engineered mesh allows designers to strategically place tighter or more open mesh weaves for support or breathability, depending on what the runner needs most. 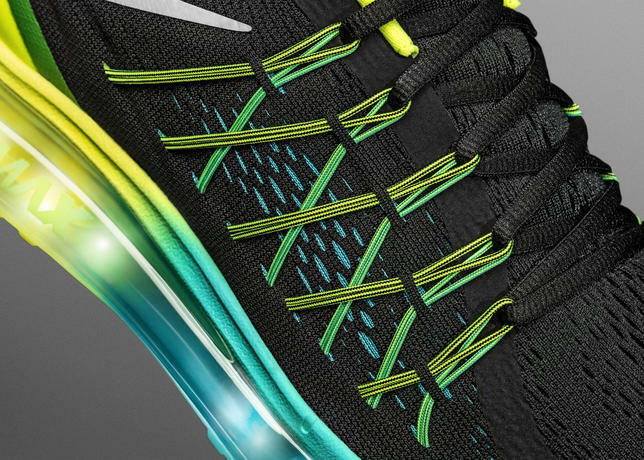 The engineered mesh works in concert with the Nike Flywire to wrap and secure the foot in the shoe. 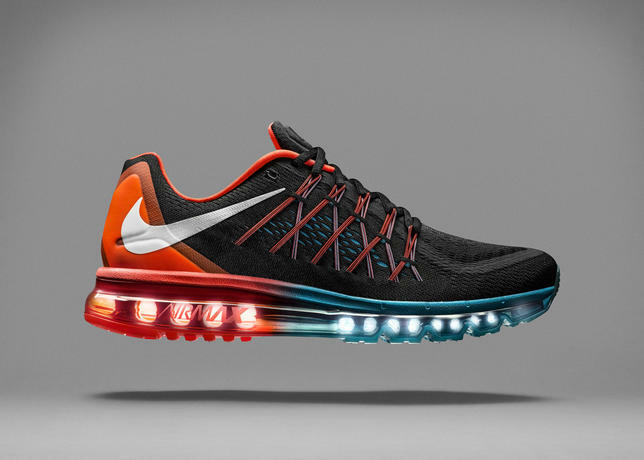 These two technologies work together with the motion of the foot to provide a dynamic fit. Inside the shoe, an internal heel counter cups the heel for a snug shoe-to-foot connection, and the internal booty provides comfort and a seamless feel. 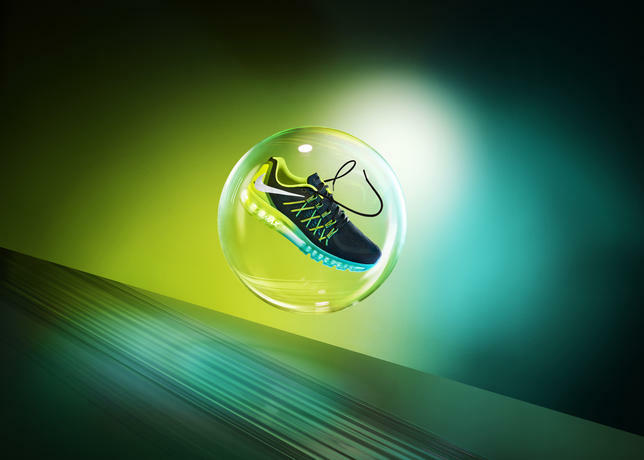 The Air Max 2015 upper works harmoniously with the full-length Max Air cushioning platform, known for its ultra-plush, bouncy cushioning. The Max Air unit’s tubular construction allows for greater flexibility while still delivering full-length cushioning underfoot. 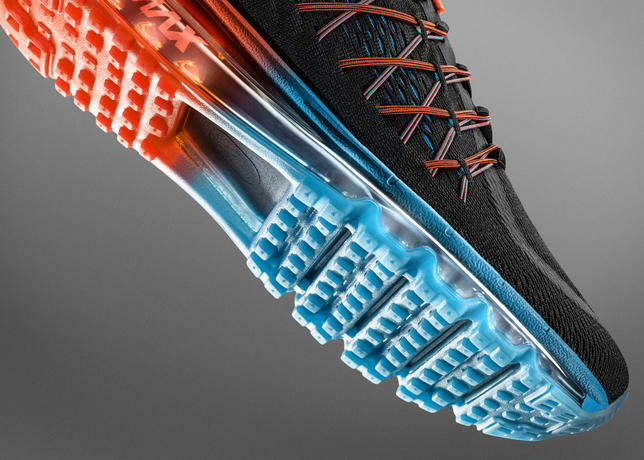 Flex grooves further enhance forefoot flexibility and a smooth transition from touchdown to takeoff, and a Waffle outsole provides excellent road traction. Sculpted Cushlon positioned between the Max Air unit and the shoe upper rounds out the cushioning platform for a smooth, soft ride. 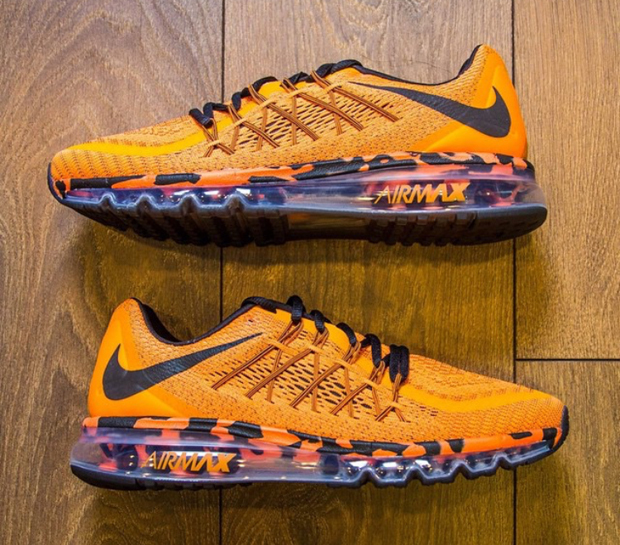 The Air Max 2015 is the latest in a long family of Air Max. March 26, 1987 marked the release of the original Air Max 1, which featured the first visible Nike Air. The franchise has become known for its iconic and bold design. 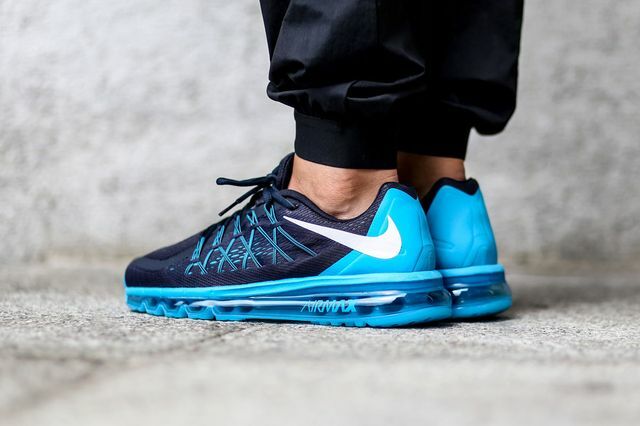 The Air Max 2015 gives a nod to its impressive and expressive heritage with its reverse-Swoosh design detail. 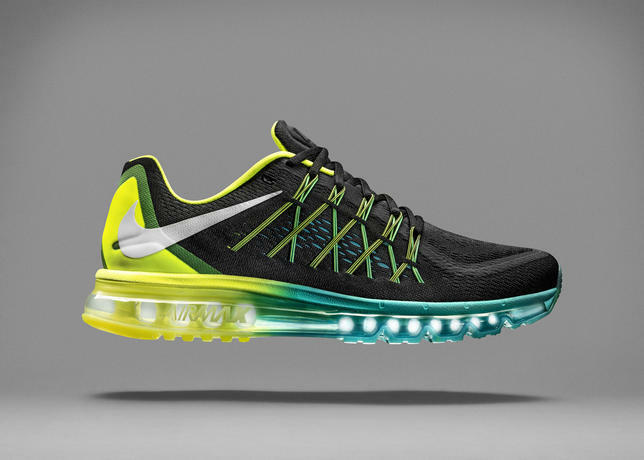 The Air Max 2015 is available for customization on NIKEiD beginning Nov. 17. 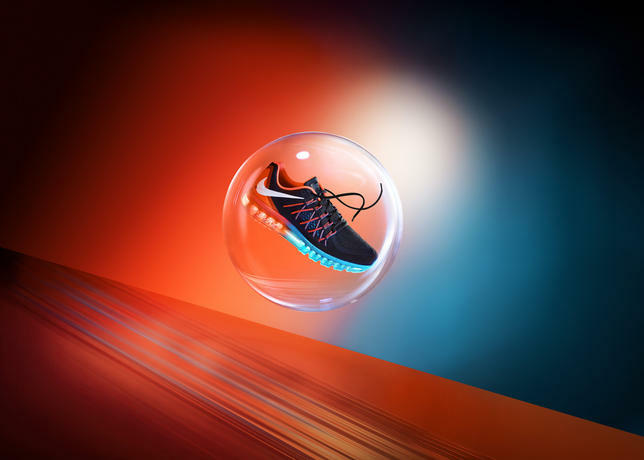 Six colors (three men’s and three women’s) will be available at nike.com on Nov. 28, with additional colors to follow.